oh my it's November 1st....which means it's 'Movember'.......what is 'Movember' you ask? oh you know just a month outta the year that all the boys I know stop shaving & grow mustaches...my favorite.......not- no but really do you know any boys who do this every November, every year? besides it being 'Movember'......it also starts the best time of the year! Our Starbucks already got the Christmas cups & all the stores are already decked in holiday gear so it's safe to say the holidays have arrived here in socal already.....so does that mean I can bring out my Michael Buble Christmas CD? Maybe I'll wait until black Friday.... Soooo it's no secret around here i like hair....& what I love even more are hair accessories! A few weeks ago I was walking down a street in our town that has all kinds of cute shops & restaurants. I went into a boutique to look around when my eyes were drawn to these sparkly diamond headbands in the corner called Jolie. It's safe to say I was instantly in love. how beautiful is that detail!? ahhhh so in love....& you all know I have some pretty thick hair & if these headbands can tame my beastly hair then I know they would be perfect for all of you. Besides the headbands she also makes hair ties & clips. It's really fun because she names them after girls names & they all have a story behind them. 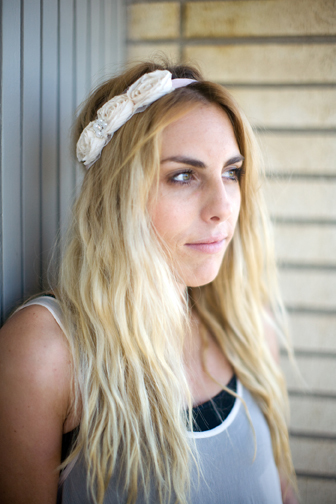 She has one headband named after the one & only - Coco Chanel...i die. Plus some of her headbands have been worn by some celebs on Disney! So she has offered to giveaway TWO headbands to TWO lucky Messy readers!!! I mean how freaking sweet is that!? so you know what to do & if you're new around here I highly suggest being logged in your Facebook, Email, & Twitter Accounts. It will make your life SO much easier! There will be 2 Winners of this giveaway!! GOOD LUCK! Fuzzy Socks, Navy Polish, Pretty Pink Christmas Decorations, An Ordainment & Greeting Cards! Seriously this girl asked me a few questions about me & this is what she got. It was like she's known me forever, especially when I saw the pink Christmas decorations! Pink & Christmas!? YES PLEASE! Thank you Sara for everything & thank you Mia & Kim for hosting! 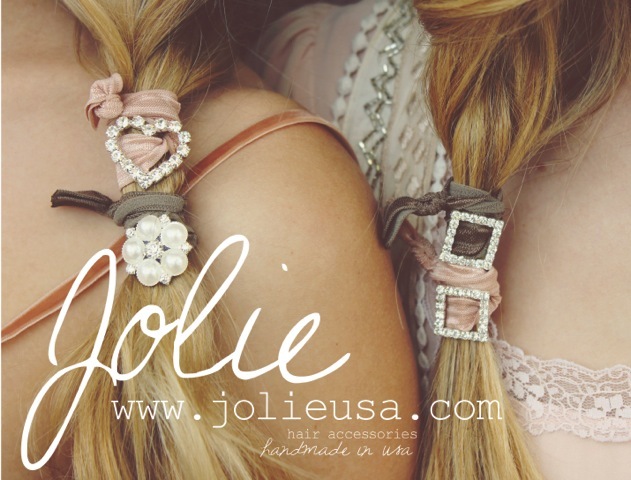 The Jolie logo will be on my sidebar for the remainder of the year for anyone who wants to purchase one of her beautiful head pieces. I'm in love! And on Movember... I only like well groomed facial hair. Period. Ugh I hate the ugly moustache my boyfriend sports in November. But a good cause at least ! And cute hair accessories!! I will note that once my boyfriend said he was going to do MOvember and not shave so I said thats great me too no shaving my legs. Movember didn't last very long in these parts! Agreed...no shave November is no fun. I'm not a big fan and so my hubby doesn't participate...anymore. My fave item from Jolie is definitely the Mia piece! I love the bling! 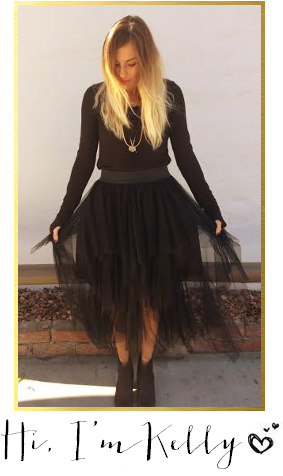 SUCH a great giveaway - those headbands are to die for! The knotty tie is my fav!! haha my husband is doing it ughhh. and LOVE this giveaway! Those headbands are super cute!! 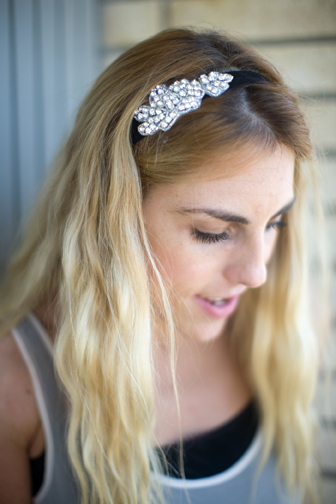 I love the Gigi headband in silver! I need this! Today I woke up and - even though I worked out - I decided not to wash my hair for various reasons. This NEVER happens in my life. I ALWAYS wash my hair. Sometimes twice or three times a day. Anyhow... the second I realized I wasn't washing it today, I thought of you. Funny, huh? I love those! LOVE!!!! almost as much as I love YOU. 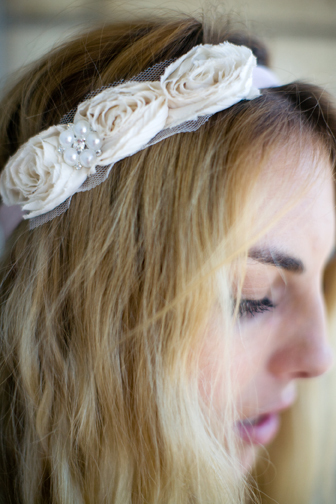 The Coco Couture headband would be fabulous at a wedding rehearsal! I love all the headbands but I especially like the one with diamonds!!!!! Love this giveaway! ANd Movember... haha silly men. My favorite is the Gigi Rose! Everything is so cute! Mia is my favorite! 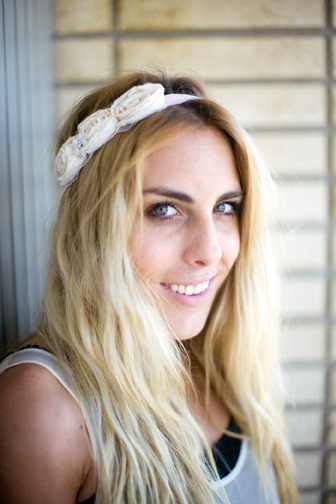 I love the mia headband! So beautiful! I love those so cute!!! I love the "Coco Couture". 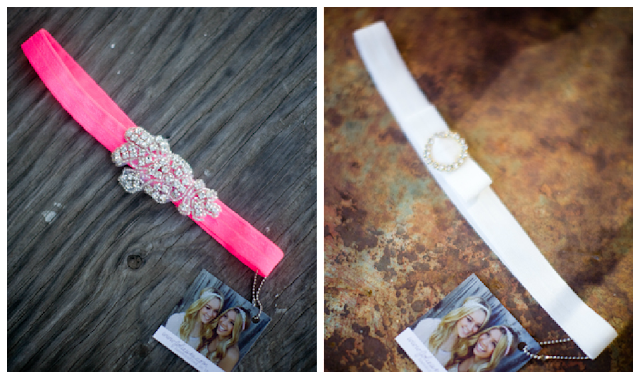 I am in love with hair bands and everything is pretty! I like the Coco Couture! I love the Coco Coture!! Those are super cute! I like the Margot. Simple but feminine. I like the hair ties but there is NO way I could wear those in my curls. I'd never see them again! I like the Rebecca, coco couture and the black one you are wearing :) Gorgeous!! I love the Gigi. So cute. Fuzzy socks + pink goodies?! Awesome! 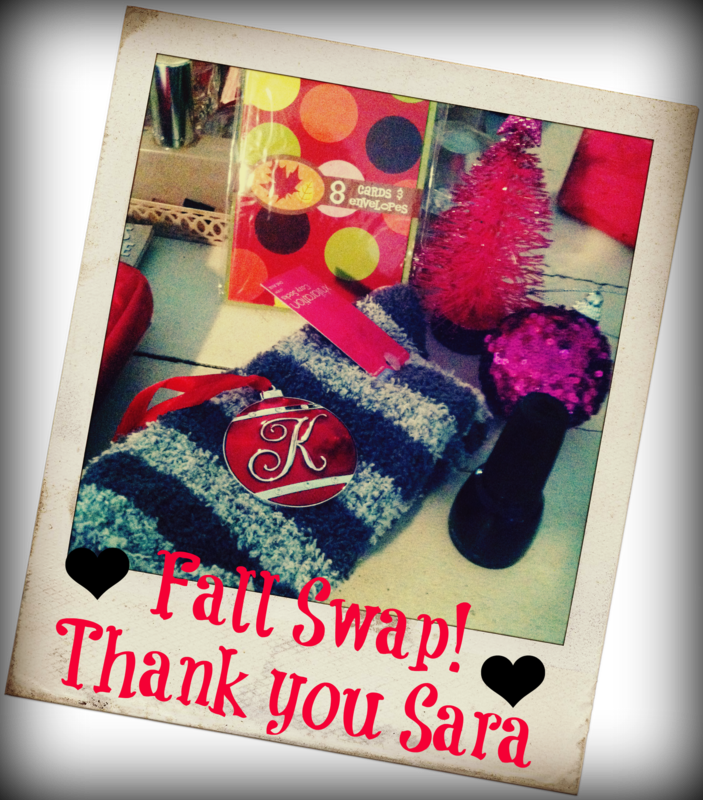 Thanks so much for joining in on the swap! Oh they're all so cute!! I love the Mia one. Just the little touch of sparkle. So pretty! 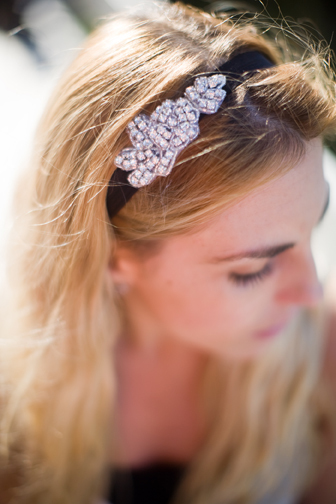 I loove the Audrey couture headbands! So cute! Ohh la la! 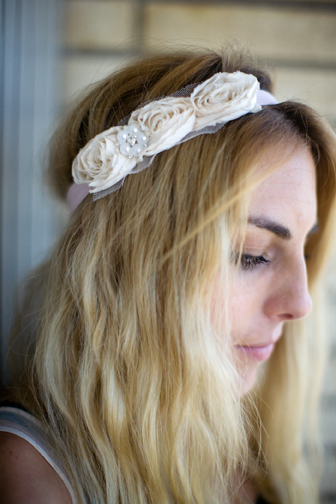 I love the Gigi Rose headband!! As far as Christmas music goes...I'm trying so, so hard to wait until Thanksgiving weekend...I'm not sure I'm going to make it, though. I really need to get by a Starbucks for my first red cup of the season. 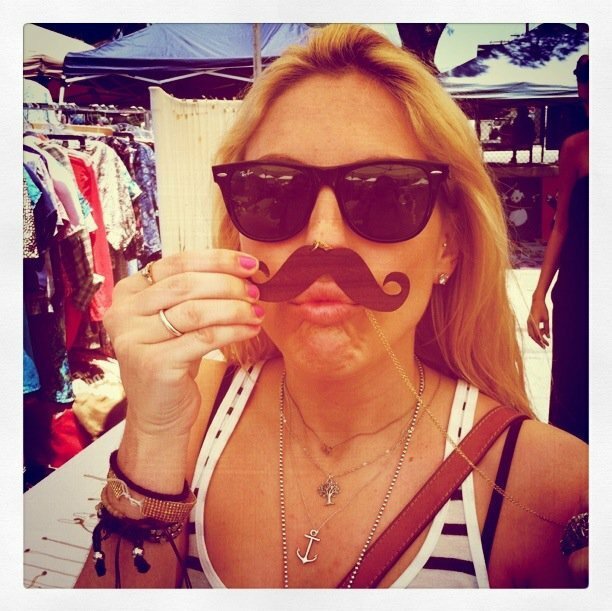 We have a lot of friends doing the Mo-vember. I think it is hilarious (and a great cause). Those headbands are too cute.